Don't end up stranded! If you have a tire that's losing air, get it checked out. Northgate Tire will see if tire repair is an option. 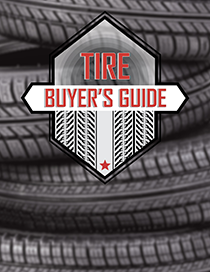 A blow out is not the only problem that can strike when it comes to your tires. An object can penetrate a tire and cause a serious puncture without being detected for some time. The slow leak will cause a continual drop in tire pressure, leading to problems such as poor handling and gas mileage, or more seriously, jeopardized safety on the road. When you are in need of tire repair, trust our experienced professionals for reliable, safe, and thorough repair service. Contact us today to set an appointment. Why is tire repair important? With busy and demanding schedules, it is easy to put off tire repairs, and just continue to re-inflate a leaking tire. However, putting off service may mean the difference between a quick, inexpensive repair and having to purchase a brand new tire. Driving on a compromised tire is not only unsafe, but also may aggravate the original damage. We understand that tires are a serious investment. Whenever possible, we will provide a thorough and lasting repair that will have you worry-free and back on the road in no time.